OH MY GOD, IT'S... IT'S... 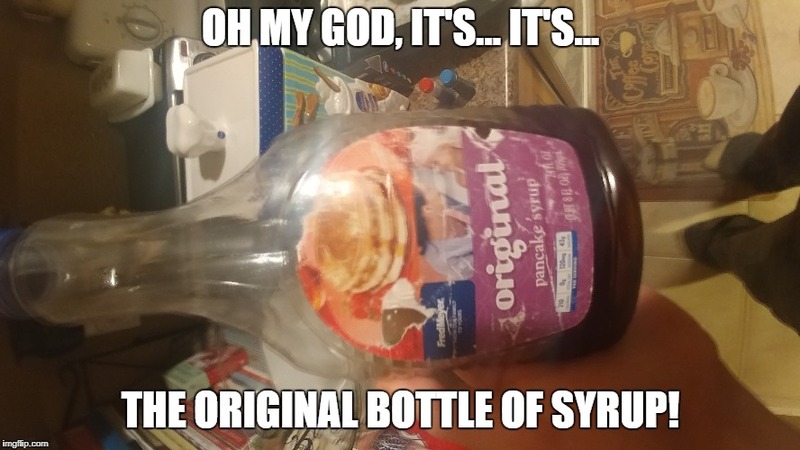 THE ORIGINAL BOTTLE OF SYRUP!